A free global Push E-mail service for mobile devices - cell phones, PDAs, etc. This free service will push send your E-mails and PIM data to you anywhere and to any device. emoze is the first push mail and PIM application that allows you to read your mail instantly on your mobile device. You can send mail from your mobile device and perform all other mail and PIM operations, such as deleting mail, moving messages between folders, creating and updating your contacts and much more. 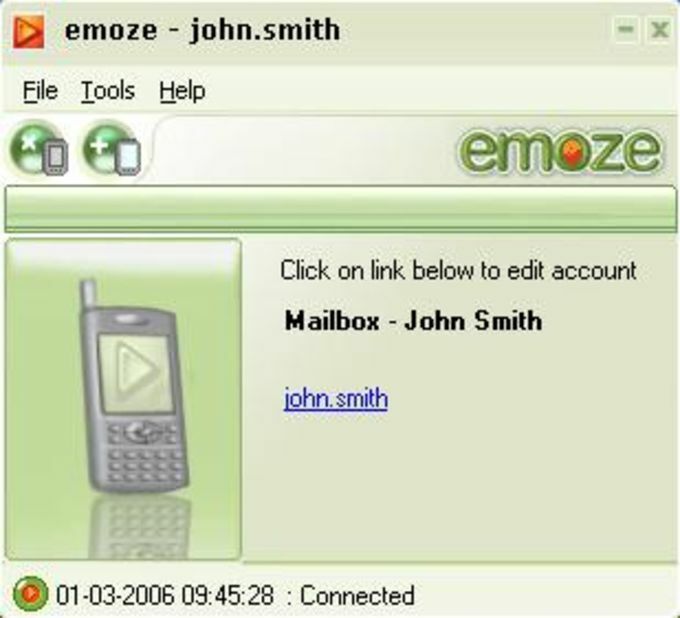 With emoze Personal Edition, anyone with a compatible mobile phone can receive work or home emails and PIM data, such as contacts and diary scheduling, on their mobile phone or PDA on the move, anywhere in the world. As a real secure push wireless email service, emoze will automatically push your emails and PIM data to your phone as soon as it is sent to you without you having to pro-actively connect to a service every time you want to send or receive. For the past few years, this type of service has been available mainly in a very costly package and mostly restricted to specific hardware and software platform, limiting mass-market adoption. emoze removes such barriers with a free, simple, flexible, and secure service creating significant savings for corporate users and consumers alike. Free & Secure Push Email Solution. This really is one of the most secure & easy to use Push Email solutions available. They just keep getting better and better with each update! What do you think about emoze? Do you recommend it? Why?